Steel, plastic, gold, and platinum are common materials used for watches. While these materials vary in price, they share a feature: They’re easy to machine. You can make almost any shape and size of watch with these. Enter wood: It’s a lot more difficult to work with wood. Wood isn’t flexible like metal and plastic. Wood is sensitive to moisture. Wood can’t be manipulated on a tiny scale like metal can. But watchmakers love challenges. And when challenged, they create things of wonder and beauty. Most watchmakers who work with wood use wood exclusively in their watches’ cases, but not all of them do, as you’ll see. 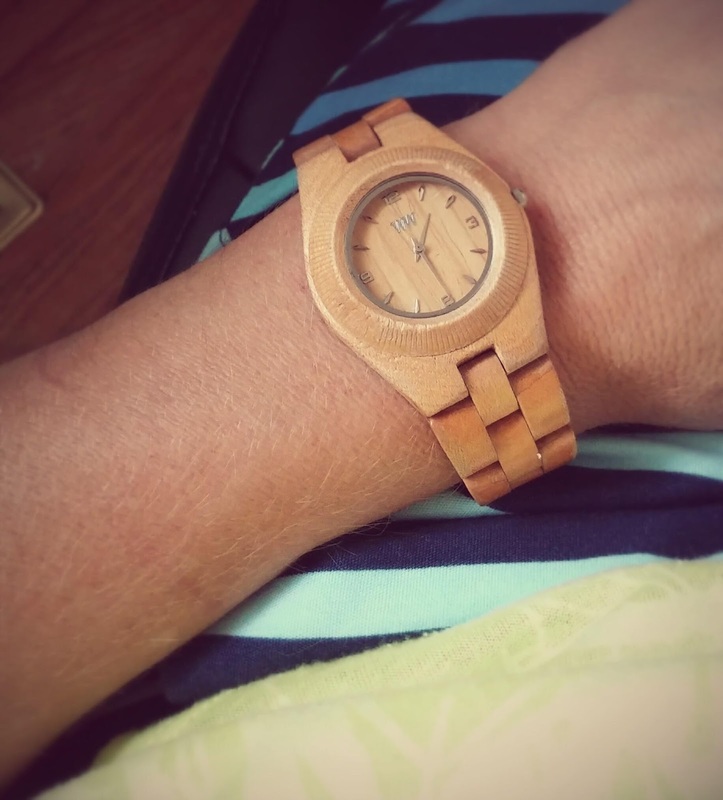 WeWOOD makes fun, unique wooden watches, out of a variety of woods, including maple, teak, and rosewood. WeWOOD’s watches use a Miyota quartz movement and range in diameter from 28.5 mm for their womens’ watches to 46 mm for the round men’s versions. They also make rectangular watches, which occupy 51 mm of horizontal wrist space. WeWOOD’s watches are $160 and under. 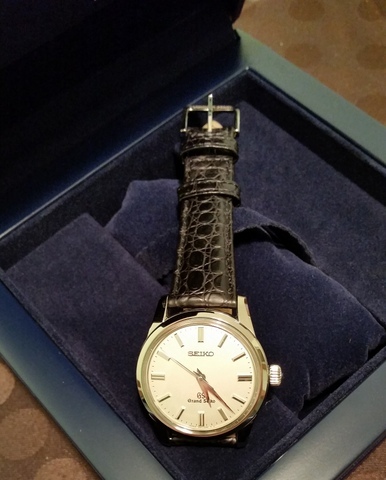 Jord is another company making wooden watches. Jord watches range in size from 38 mm for women’s and 47 mm for men’s watches, which come in round and rectangular. They use eight different woods, including zebrawood, purpleheart, sandalwood, maple, and bamboo. Many of Jord’s watches use Sea-Gull automatic TY2807 and ST6103K movements; some use Seiko VD54 chronograph and Citizen quartz Miyota movements. Expect to pay $295 for a Jord automatic and $199 for one of their quartz watches. There’s even an online watch shop where you can browse WeWOOD and other wooden watches: Selectwoodwatches.com. Ralph Lauren has also thrown his hat into the wooden watch game, with two watches: A $35,000 skeleton watch and a $5,000 chronometer with a elm burlwood dial. Like most things from Ralph Lauren, they are stylish. Salix Watches makes its watches, including the movement—including a tourbillon—entirely out of wood. Even Geppetto didn’t have such skills. Not even close. These incredible watches are 42 mm in diameter and fashioned out of bubinga and maple. How do they do that? 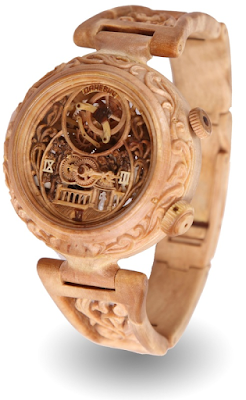 A wood-carved mechanical watch. Wow. and cost between $4,000 and $5,000. Photo by Salix.